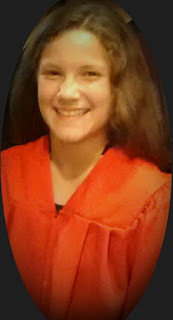 Teresa was confirmed last night along with a large group in the packed church of Saint John the Baptist in Front Royal. She chose the name "Chiara," after Blessed Chiara Badano. That didn't come from any prompting from me, although I have spoken about this special heavenly friend and we have a video on her life. I am, of course, very happy Teresa chose to befriend her in this way. It seems unusual to celebrate the Sacrament of Confirmation on a Friday night in November, but we were glad to be with our good Bishop Paul Loverde. The bishop turned 75 years old this past September and recently celebrated 50 years as a priest. Last night I was remembering his installation Mass in the diocesan cathedral in 1999. Eileen and I attended along with a toddler John Paul and infant Agnese. I remember holding John Paul out, Roman style, for a special blessing from the bishop as he passed down the aisle at the recessional. Now the family (along with the parish and the diocese) has grown during the time of Bishop Paul. He has taken good care of all of us in these years. For my Teresa Nicoletta Chiara, I pray that the Holy Spirit will enlighten her understanding and fill her heart, bestowing upon her the abundance of His gifts as she shares in Christ's royal anointing. Come Holy Spirit, open her heart and the hearts of all my children to the workings of Your grace and to the discovery of their vocational paths.